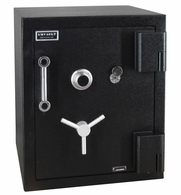 Amsec Amvaultx6 CFX352020 TL30x6 High Security Jewelry Safe - Great Price! Inside Dimensions: 35" x 20" x 20"
Clear door opening: 35" x 20"
Measurement needed from back of the safe to the front for door to open: 52.75"
Measurement needed from left side to right side for the door to swing open the full 180° to give you clear door opening: 47.25"
Looking for a safe that will insure up to $500,000? A massive step up from its little brother the TL-30, TL-30X6 adds an additional $250,000 worth of insurance. In addition to the vigorous testing on the door, the TL-30X6 is tested on all six sides of the safe meaning a burglar would have no advantage attacking the sides over the door. 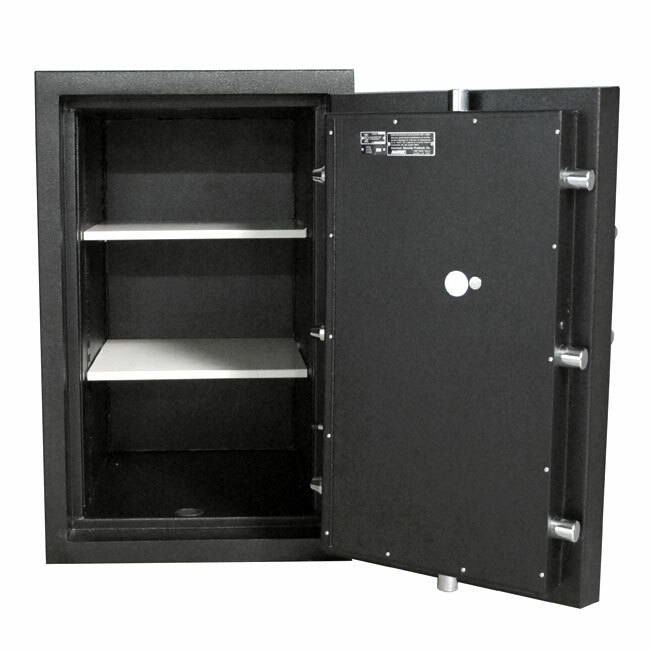 The technical definition of a TL-30X6 safe is as follows: "Signifies a combination-locked safe designed to offer a moderate degree of protection against attack by common mechanical and electrical tools and any combination of these means. Has successfully resisted entry* for a net working time of 30 minutes when attacked with common hand tools, picking tools, mechanical or portable electric tools, grinding points, carbide drills, pressure applying devices or mechanisms, abrasive cutting wheels and power saws." Basically they take every tool a smart burglar would use and punish the safe for 30 minutes on each side. 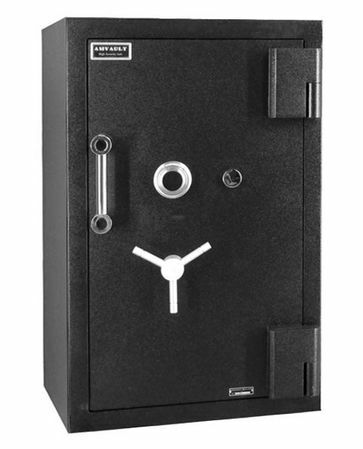 If the safe survives, it is rated TL-30X6 and Qualifies for Mercantile & Broadform Insurance Class G with a Bank Rating of H. So I'm sure you're wondering, how do they accomplish this? 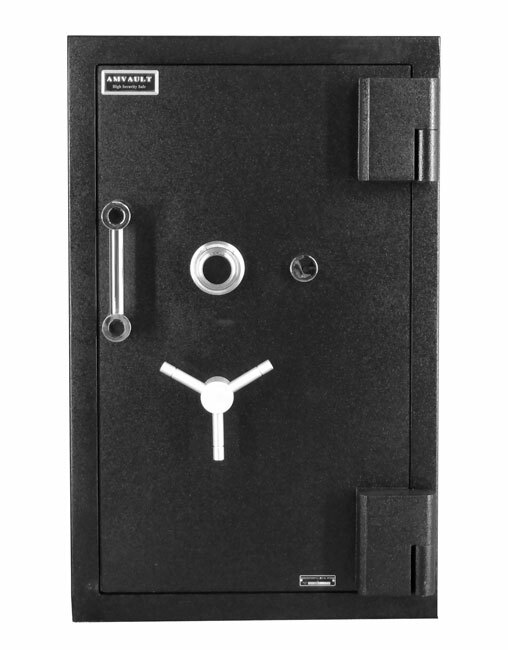 Let's start with the massive 6" door, constructed of a 3" defense barrier of outer and inner steel plates creating a single structure encasing a unique, high density fire and burglary resistant composite material. This defense barrier houses a proprietary amalgamation of nuggets and steel fibers to withstand concentrated attacks with the most sophisticated equipment used by burglars. On the door lies a U.L. 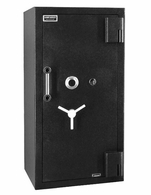 listed Group II Key Changeable combination lock that is protected by a drill shattering hard plate and two additional spring loaded devices. The hinges offer a vertical height adjustment and utilizes an oil impregnated bearing ensuring easy door operation. 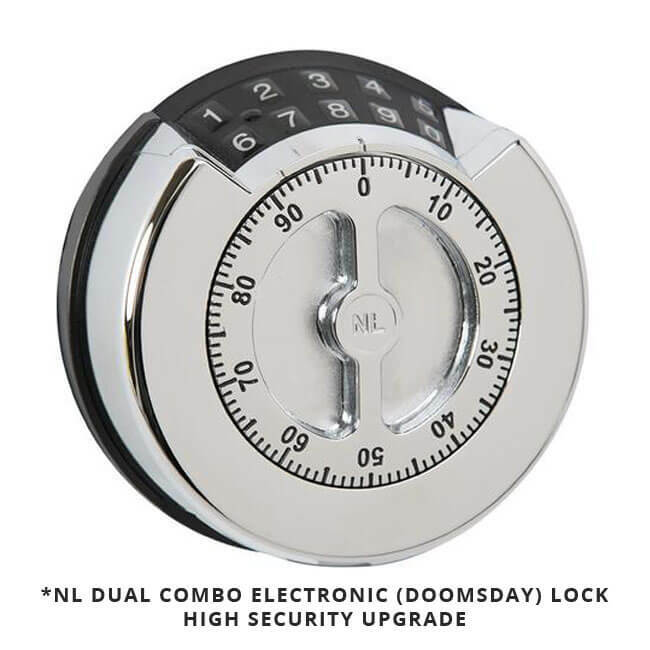 The locking mechanism is equipped with massive 1-1/2" diameter chrome plated solid steel locking bolts that move deep into the body's protected bolt chambers. The body is formed to combine a total protective thickness of 3-1/2" enclosing a high density, high-strength ceramic matrix with high strength concrete inside exceeding 12,000 PSI. The reinforced drill resistant door frame protects the door and each individual bolt chamber from severe side attacks. The proprietary inner barrier protects against peeling attacks. This TL-30X6 safe has been tested for up to two hours of fire protection at 1850° and successfully maintained an interior temperature of less than 350° for the entire duration of the test. 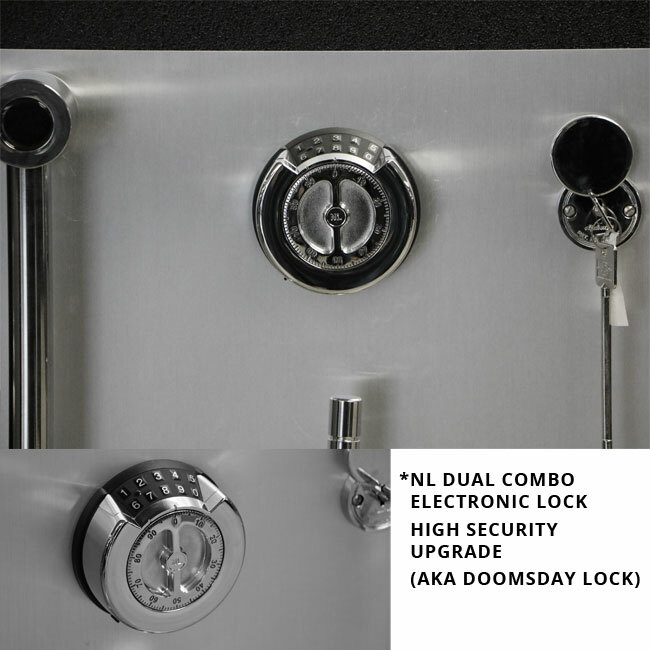 Only at Dean Safe, we include options at no extra cost to you such as three-way bolt work that engages the bolts horizontally and vertically into the body of the safe, an auxiliary key lock that has two keys and an escutcheon plate with additional spring-loaded relocking device to protect against punch attacks and a tempered glass relocking device to protect against torch attacks with remotely and randomly placed cross locking bolt and thermal cords. Normally, these options would cost you an additional $660, but we include them for you for free! It comes standard with two high strength adjustable shelves included and a tri-spoke handle. Not only is this safe made right here in the USA but it is also backed by a One Year Parts and Labor Warranty! 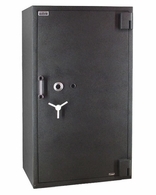 When you plan on placing up to $500,000 worth of value in your safe, you can trust the AMSEC CFX TL-30X6 series.